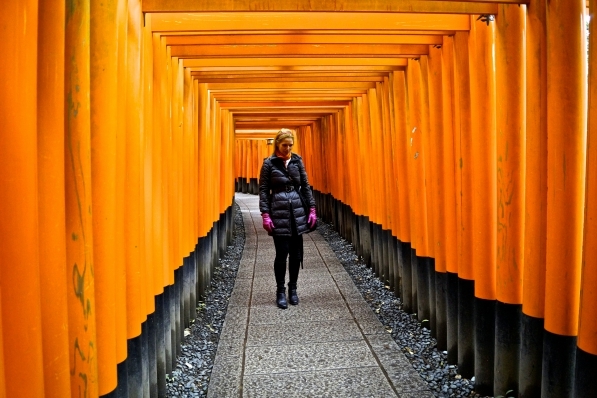 Sharing some visions that made an impression on us while visiting Tokyo and Kyoto in February. 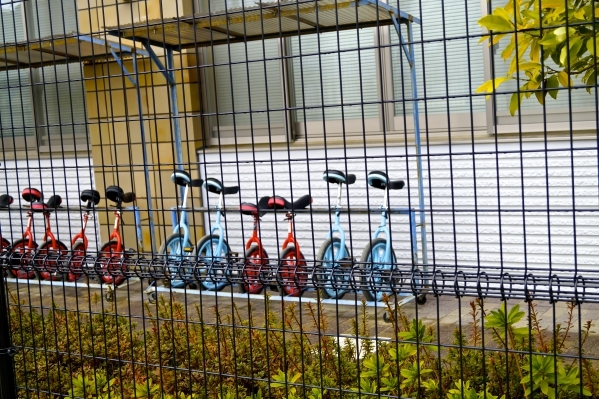 Each trip to Japan unveils a new layer of awareness into an ancient and very traditional culture.We never cease to appreciate the seamless way in which they mesh their treasured heritage to the most modern technology. Our experience in Kyoto began with a speedy train trip from Tokyo, leaving the bustling city for a countryside outing. As we traveled away, the glory of snow-peaked Mount Fuji followed us for part of the journey. 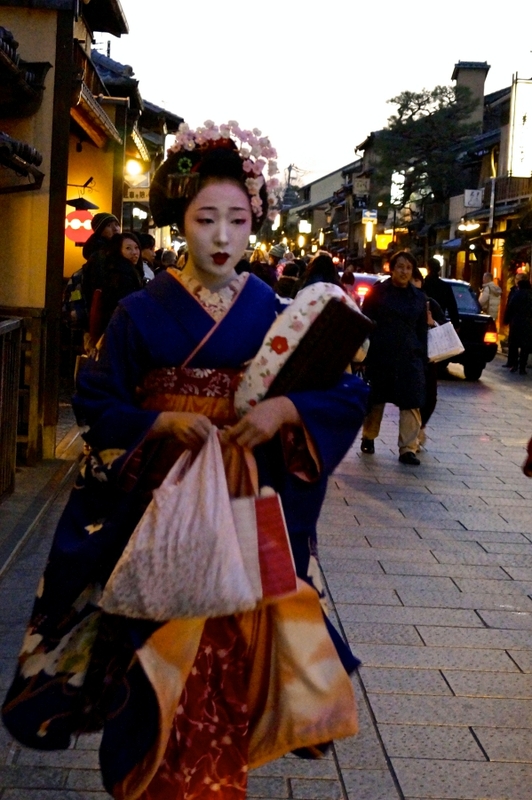 Upon arrival in Kyoto, we entered a traditional world---a world of elegant ladies and men strolling around in beautiful kimonos as part of their daily garb...such a contrast to the ceremonial kimonos which we marveled at in Tokyo. 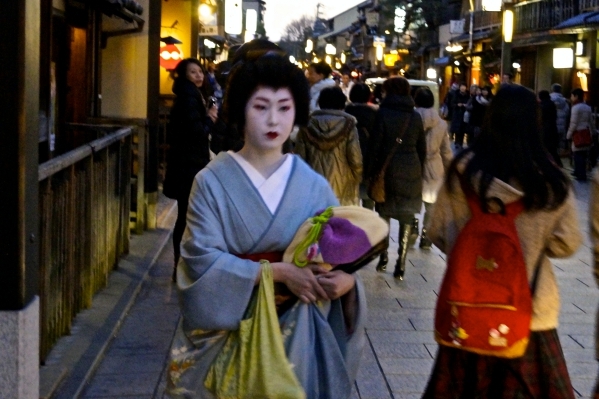 We caught sight of geishas leaving their homes, dressed impeccably on their way to work---the elaborate wardrobe and maquillage was mesmerizing! We visited so many beautiful shrines, each one devoted to a different idea. We spent one very special meal in the most serene of Buddhist monasteries, where both the food and the ambiance were exquisite and serene---possibly my favorite meal ever!